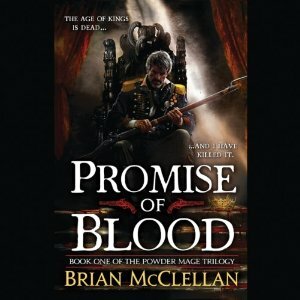 Promise of Blood by Brian McClellan is the perfect book for today. 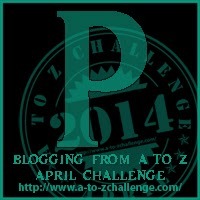 P for Promise, Politics, Powder and Power. It’s a bloody business overthrowing a king…. It’s been a while since I’ve read an epic fantasy, which probably means I enjoyed this more than I would have if I had been on a constant binge of magic and quests. I also listened to it on audio, but the 19 hours flew by. I loved it! We have standard mages who control the elements, the knacked who have a small, specific magic, and the marked, included powder mages whose magic revolves around black power, a kind of middle class. Tamas has staged a French Revolution style coup – down with the King and nobles and send them all to the guillotine and the peasants can be “free.” Only now he’s got a country to run and a traitor in his Council. And maybe a god serving as his chef. It’s a big story, a world to get lost in. There are heroes, but not the too good kind, they are ones with their own darknesses, weaknesses, belief systems. There are bad guys, lots of them actually on different levels. There are the kind of mob guys, the enemy army, an ancient sorceress who has her own goals. None are pure evil. There’s a lot going on but and it’s hard to really summarize all the different angles. It’s non-stop action and I like that there wasn’t a romance screwing up the plot. It’s a city in the midst of transition, but McClellan keeps the story focused on the individuals. Christian Rodska was the reader and to me he had Tamas’s voice. He did the other characters well and the narration, but Tamas is the one I felt he became. The story itself is told from several points of view, but it’s always clear whose version of the story we’re experiencing. Definitely one I would recommend to fantasy lovers. The Crimson Campaign comes out next month. I’m looking forward to it. This one the first in the trilogy and while the end wasn’t exactly a cliffhanger, I do need to know what happens next. I have to say I’m glad I’ve been getting a bit out of my mystery rut. Don’t get me wrong, I still adore mysteries, but a change in pace occasionally lets me enjoy them more and I remember how much I like fantasy and romance. I need a change of pace in genres too! 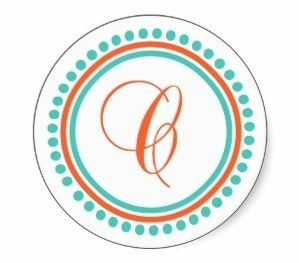 I think your review was the one that made me put it on my to-read list.